Africa's development remains dependent on international donor funding for major projects. However, the latter are becoming more and more demanding regarding the ecological impact of infrastructures. This is why some project leaders, or their financial partners, now call on specialised companies that can advise them on biodiversity issues. Africa is growing rapidly, both in terms of population and economy. The boom is combined with the construction of a large number of infrastructures. From Algeria to South Africa, Senegal and Ethiopia, many projects are flourishing all over the continent. Investments are focused on energy, drinking water, agriculture, transport and mining. These developments also raise many questions concerning the protection of the environment and biodiversity preservation in particular. Everyone still has in mind the decision of the Tanzanian authorities, in May 2018, to clear part of the Selous Nature Reserve to build the 2,100 MW Stiegler’s Gorge hydroelectric dam: 1,500 km² of forest and savannah and 2.6 million trees from a UNESCO World Heritage site were destroyed just like nothing. The condemnation of such a heritage had caused an outcry among environmentalists, despite the government’s assertion that it had carried out ecological impact studies… In any case, this issue is increasingly sensitive, especially among the development banks that finance this type of project. According to Fabien Quétier, Director of Studies and specialist in biodiversity compensation at Biotope, “international donors are showing increasing interest in biodiversity protection, in line with the international biodiversity conventions signed by their shareholder states”. More and more international financial institutions are committing themselves to the protection of biodiversity. One example is the World Bank. In July 2016, it updated its Environmental and Social Framework (ESF), which aims to “protect people and the environment from the potentially harmful effects of Bank-financed projects” and to promote sustainable development. The new version of the ESF entered into force on October 1 2018, following the approval by the World Bank of the Paris Declaration, the Accra Agenda for Action and the Busan Partnership for Effective Development Cooperation. This update brings the World Bank’s requirements closer to those of its subsidiary targeting the private sector: the International Finance Corporation (IFC). IFC Performance Standard 6 has been used since 2012 to ensure that biodiversity and natural resources are taken into account in the projects it finances. It serves as a reference point for many financial institutions, including private commercial banks that have adhered to the so-called “Equator Principles”). Ethiopia is one of many African countries to have suffered the consequences of the World Bank’s new biodiversity protection policy. 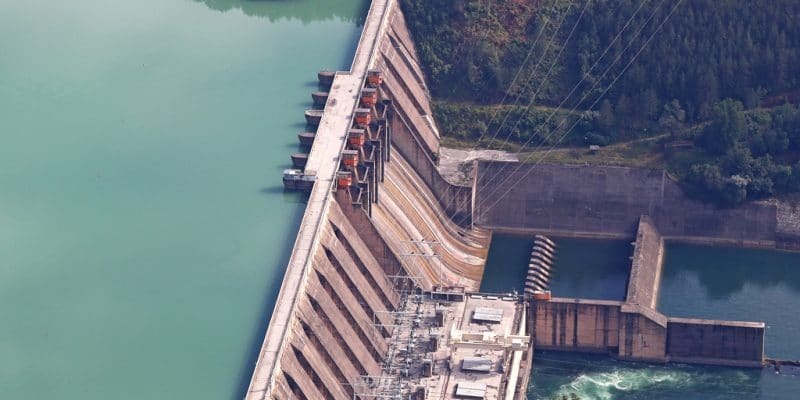 The East African country has initiated the construction of the Renaissance dam on the Nile, which is expected to produce 6,000 MW, making it one of the largest dams on the African continent. To achieve this, the country sought financing of $4.8 billion, or 15 per cent of Ethiopia’s gross domestic product (GDP). However, international donors, including the World Bank, have decided to ignore this project, accusing the government of not taking sufficient account of the dam’s environmental consequences, particularly for countries that also depend on the waters of the Nile, namely Egypt and Sudan. The African Development Bank (AfDB) is also one of the financial institutions that has received a request for financing for the Ethiopian project but the bank recognised early on the importance of preserving biodiversity in financing development projects. That is why it created an Independent Review Mechanism (IRM) in 2004. Objective: Ensure that the AfDB follows its own policies and procedures during the design and implementation of its projects. In concrete terms, this mechanism must deal with complaints about the environmental impacts of projects in the transportation, hydroelectricity or agricultural sectors. This policy was reinforced in 2013 by the Integrated Safeguarding System (ISS), which defines the rules for protecting local populations, vulnerable groups and the environment (including biodiversity) from the impacts caused by AfDB-funded projects. Many observers point to Chinese banks as being less careful about taking ecological impact into account in financing development projects in Africa. For the Renaissance hydroelectric project in Ethiopia, challenged by several development partners, Chinese banks raised $1.8 billion. This situation could be worrying, given the very large volumes of Chinese investment in Africa. Chinese President Xi Jinping recently promised to inject $60 billion into African development projects in 2019. The dilemma is in the details: will Chinese banks and other investors apply high ecological criteria to each of their investments on a daily basis? The Middle Kingdom, which is still one of the world’s largest polluters, has high ambitions in terms of environmental leadership and has adopted ecological taxes in 2018 that could herald a green revolution towards “eco-civilisation”. In the meantime, European development banks have already clarified their requirements. The French Development Agency (AFD) has been ensuring for some time now that 100% of its investments are compatible with the Paris Climate Agreements. KfW, the German public development bank, applies cross-compliance criteria to all such investments. In Guinea, for example, Compagnie des Bauxites de Guinée (CBG) and Global Alumina Corporation Ltd (GAC) have committed to supporting the creation of the Moyen-Bafing National Park as part of their IFC-funded mining projects. Established over an area of 6,426 km², it will strengthen a West African chimpanzee population in return for the impact of their projects on the chimpanzee population on mining concessions. The NGO Wild Chimpanzee Foundation (WCF) is technically supporting this ambitious compensatory measure. Similar arrangements have been put in place in Madagascar to offset the impacts of the Ambatovy and QMM mining projects.